CBRE has recorded double-digit increases in both profits and revenues for the three months ended 30 September. Global revenues for the agent totalled $5.3bn (£4.1bn) during Q3, a 13% increase on Q3 2017. EBITDA was up by 28% to $524.3m. 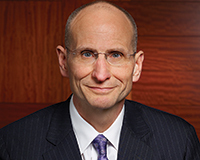 President and chief executive Bob Sulentic said: “We continue to deliver double-digit increases on the top and bottom lines.